The Western Division team has 14 pitchers, only one of which is left-handed. The Eastern Division has 15 pitchers, including five left-handers. The Quad Cities River Bandits are the only team without an All-Star pitcher; their team’s lone All-Star player is outfielder Kyle Tucker. First pitch for the Midwest League All-Star Game is scheduled for 7:05 p.m. CT Tuesday, June 21, at Veterans Memorial Stadium, home of the Cedar Rapids Kernels. The host Kernels will provide the coaching staff for the Western Division team, and the reigning MWL-champion West Michigan Whitecaps will provide the coaching staff for the Eastern Division team. A pitcher from the host team often starts the All-Star Game, so I think it’s a safe bet to say Kernels lefty Sam Clay will get the nod for the Western Division. 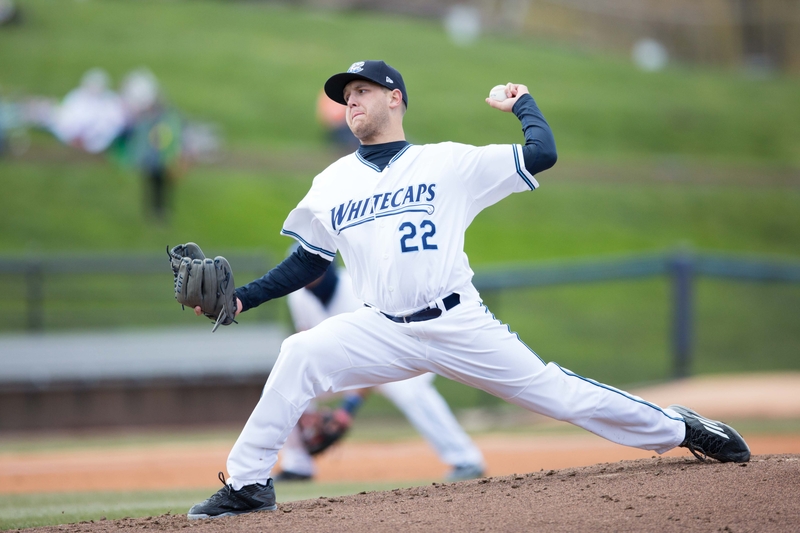 I also think it’s a safe bet to say Whitecaps lefty Matt Hall will start for the Eastern Division, considering his stellar stats and the fact West Michigan is providing the coaches for that team. Of course, these predictions could be nullified by player promotions prior to the All-Star Game. This entry was posted in 2016 All-Star Game, Beloit Snappers, Bowling Green Hot Rods, Burlington Bees, Cedar Rapids Kernels, Clinton LumberKings, Dayton Dragons, Fort Wayne TinCaps, Great Lakes Loons, Kane County Cougars, Lake County Captains, Lansing Lugnuts, Midwest League, Peoria Chiefs, Quad Cities River Bandits, South Bend Silver Hawks, West Michigan Whitecaps, Wisconsin Timber Rattlers. Bookmark the permalink.